I have been active all of my life, I played sports starting at age 4-5 through my freshmen year of college. And since then I have been continually active through intramural sports, playing sports with friends, working out on my own, or just living an active life style. I love being active, the way it makes you feel, the fun you have while doing it, etc. To me though, I can be active in my daily routine, but working out is something different. And although I also love working out and the feeling that gives your mind and body, it is not always easy. Once you are on your own and don't have a team workout, you really have to push yourself. I am constantly pushing myself out of the lazy zone and into workouts, it is not an easy thing to stay consistent in working out. So since I stopped playing sports and started taking care of my body all on my own, I have probably been at a steady 150 lbs. and I am 5 feet 10 inches tall. I have never really struggled with my weight, but like I said I have mostly stayed active. I do struggle a lot with eating well though. I am a very picky eater, so eating healthy is really hard on me. I barely like any vegetables, and I like fruit, but my favorite food literally is fried chicken. I love it! And although I know places like this aren't good for you, I love eating chicken from McDonald's or Chicken Express. My second favorite food if you can call it that, it would really be more of a snack would be chips and hot sauce or caso! Seriously I love it! I can eat it as meals and be totally fine with it! I mean since I have been on my own in life, I have tried to be pretty smart, like I would never just eat fast food, but I wouldn't mind eating it at times. But I wouldn't say that I have ever lost control or let that be all that I eat. No I don't have the gene that some people have where they can eat all junk food and be a cute little skinny girl :-) But by no means have I ever maintained a healthy eating pattern. Anyways, so back to after my freshmen year in college, as far as I can remember I weighed for the most part around 150lbs. Then my junior year in college I got engaged. Starting then, I began working out more and taking care of myself! 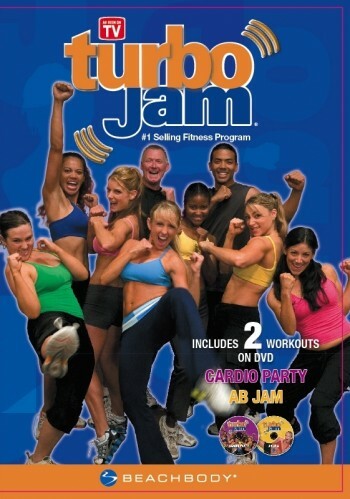 My main routine of working out was I spent a good part of the next two semesters getting up in the mornings at 6am with a friend and doing a workout called turbo jam. Along with that I would drink my favorite protein smoothie as meal replacements. (You can find that at the bottom) This was such a good workout! Turbo Jam is such a fun workout and it WORKS! It is a mix between kickboxing and dancing and it is so fun! So anyways, I probably lost about 10 pounds and went into my wedding weighing 140lbs. I remember I felt very good with myself. I took Boudoir photos for my husband and I was not self-conscious at all. I modeled my lingerie for some of my closest friends after my shower and I remember feeling very good about my body! Even on my honeymoon, I wore some size smalls in my bathing suits, (that is SO NOT normal for me). But really doing this workout with some running mixed in got me into really good shape. After that time, I think I ended up gaining some wait and landed somewhere around 148lbs for a while during my first year and a half of marriage....sad I had lost that weight and then gained it back, but okay that it wasn't more than what I had normally been used to. Then came August 2011 when Meguell and my life's changed a lot. We were going on our second year of marriage, I work full time, I go to graduate school at night, we are leaders in the college ministry at our church, and then we decided to become host parents to three Asian high school boys. It is a very fun and challenging all at the same time. (You can read about that hear at Life Changing, or Neglect) Anyways, something about the busyness of my life these past 8 months has really taken a toll on me. It was last week after Spring Break that I was sitting at my house and realized...."Wow, my body is really getting out of control..." My eating habits had gone off the deep end, I feel like anytime I craved something I would make an excuse and say that it wouldn't effect my body that much and then I would just eat it. Especially sweets...I love sweets, and I feel like a lot of it was going to parties or lifegroup or birthdays at work when there were free cookies or cupcakes and I literally lost all sense of self control! It was ridiculous! It was then that I realized I needed to change some things....especially since now the scale was reading 170lbs. Wow there it is....the vulnerable place :-) Really though, I couldn't believe my body had gotten that out of hand, and with summer coming up around the corner and planning a trip to the beach, I couldn't imagine wanting to be in a swimsuit....or that any of the swimsuits I already owned would even fit me. So my sister and I spoke about this and I got inspired...I have to change things! I went grocery shopping last week and was very aware of what I was buying. I have already started eating better and can feel a difference in my body already. I have been more consistent on working out, not doing it two times one week then again 3 weeks later...I have even made everyday activities more physical and fun! And my sister, mom and I have decided to really kick this off by doing a cleanse. 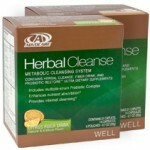 We have chosen the Advocare Herbal Cleanse. This cleanse lasts for 10 days and still allows you to eat food. We will be starting it sometime soon and will let you know next week on WLW how it is going! Anyways, so I am on an endeavor to get in better shape, shed some pounds, and be happy with my body! Since I have made myself stop eating sweets, I have seen the scale go down three pounds. 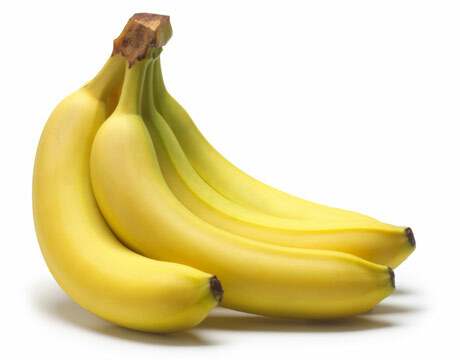 I really think a lot of the sweets I have been eating daily made my weight go up quickly. And since Easter is my favorite holiday and I love Starburst Jelly Beans, this is going to be challenging haha! Anyways, we hope that you enjoy walking with us in our journey! So here's a great Smoothie Recipe for you! ENJOY! Add all of this in a blender until it is blended smoothly then drink up!